Plant-based diets have been widely promoted for cardiovascular disease (CVD) risk reduction. This review discusses the various definitions of plant-based diets and summarizes their associations with CVD risk, specifically distinguishing between healthy and unhealthy plant-based diets. Despite wide variation in definition, most studies suggest that plant-based diets are generally beneficial for cardiovascular health. Many previous studies have defined plant-based diets by the complete exclusion of meat or animal products, while others have accounted for plant-based diets including moderate amounts of animal-source foods. Only a few studies have considered the healthfulness of the specific plant foods included in these dietary patterns. In these studies, plant-based diets containing higher amounts of healthy foods such as whole grains, fruits, vegetables, nuts, legumes, oils, tea, and coffee are associated with lower CVD risk. However, plant-based diets including higher amounts of less healthy plant foods, such as refined grains, potatoes/fries, and foods and beverages high in added sugar, are linked to increased risk. A wide spectrum of plant-based diets can be nutritionally adequate and confer cardiovascular benefits, as long as they are planned appropriately and include high-quality foods. Contrary to popular belief, plant-based diets do not have to be vegan or vegetarian. For most people, complete elimination of meat or animal products is unrealistic and not necessary for cardiovascular health. Quality of the specific components of plant-based diets is also important to consider, as not all plant-source foods have beneficial cardiovascular effects. Healthy plant-based diets can be customized to fit individual and cultural preferences and, with large-scale adoption, could concurrently mitigate threats to both human and environmental health. Elena Hemler has no conflict of interest to disclose. Dr. Hu reports receiving research support from the California Walnut Commission and personal fees from Standard Process, Diet Quality Photo Navigation, and Metagenics, outside the submitted work. Source of support: FBH’s research is supported by NIH grants HL60712, HL118264, and DK112940. World Health Organization. Cardiovascular diseases. 2017. http://www.who.int/en/news-room/fact-sheets/detail/cardiovascular-diseases-(cvds). Accessed Nov 30 2018. • Satija A, Hu FB. Plant-based diets and cardiovascular health. Trends Cardiovasc Med. 2018. https://doi.org/10.1016/j.tcm.2018.02.004 A recent review providing a comprehensive overview of definitions of plant-based diets and their relationships with cardiovascular outcomes. • Bechthold A, Boeing H, Schwedhelm C, Hoffmann G, Knuppel S, Iqbal K, et al. 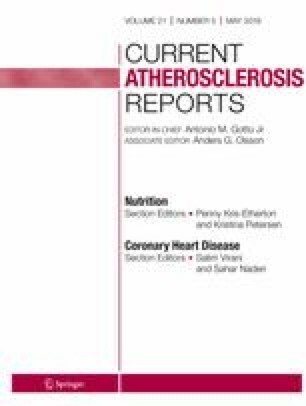 Food groups and risk of coronary heart disease, stroke and heart failure: a systematic review and dose-response meta-analysis of prospective studies. Crit Rev Food Sci Nutr. 2017:1–20. https://doi.org/10.1080/10408398.2017.1392288 This series of meta-analyses demonstrates positive associatations between cardiovascular outcomes and specific healthy plant food groups, as well as negative associations for certain animal and less healthy plant foods. Lassale C, Beulens J, Van der Schouw Y, Roswall N, Weiderpass E, Romaguera D, et al. Abstract 16: a pro-vegetarian food pattern and cardiovascular mortality in the epic study. Circulation. 2015;131. https://www.ahajournals.org/doi/abs/10.1161/circ.131.suppl_1.16. Mazidi M, Kengne AP. Higher adherence to plant-based diets are associated with lower likelihood of fatty liver. Clin Nutr. 2018. https://doi.org/10.1016/j.clnu.2018.08.010. Reynolds A, Mann J, Cummings J, Winter N, Mete E, Te Morenga L. Carbohydrate quality and human health: a series of systematic reviews and meta-analyses. Lancet (London, England). 2019. https://doi.org/10.1016/s0140-6736(18)31809-9. Kim K, Hyeon J, Lee SA, Kwon SO, Lee H, Keum N, et al. Role of total, red, processed, and white meat consumption in stroke incidence and mortality: a systematic review and meta-analysis of prospective cohort studies. J Am Heart Assoc. 2017;6(9). https://doi.org/10.1161/jaha.117.005983. •• Willett W, Rockstrom J, Loken B, Springmann M, Lang T, Vermeulen S, et al. Food in the Anthropocene: the EAT-Lancet Commission on healthy diets from sustainable food systems. Lancet (London, England). 2019. https://doi.org/10.1016/s0140-6736(18)31788-4 This review creates the first ever scientific targets for a healthy diet and sustainable food production within planetary boundaries and discusses the potential health and environmental benefits that could be achieved from a reference plant-based diet.